Start early with planning for what could be a very cold and snowy Michigan winter! While propane is readily available in Michigan, you still need to ensure you have it available for your needs for cooking, heating, etc. Propane is highly flammable, and regulations require the filling connection on your tank to be at least ten feet from the external ignition source, the ventilation source for a gas appliance, or any mechanical ventilation source. If you should smell gas, extinguish any smoking materials or open flames – and do not operate lights, any appliances or phones, as flames or sparks from these sources can cause a fire or even an explosion. 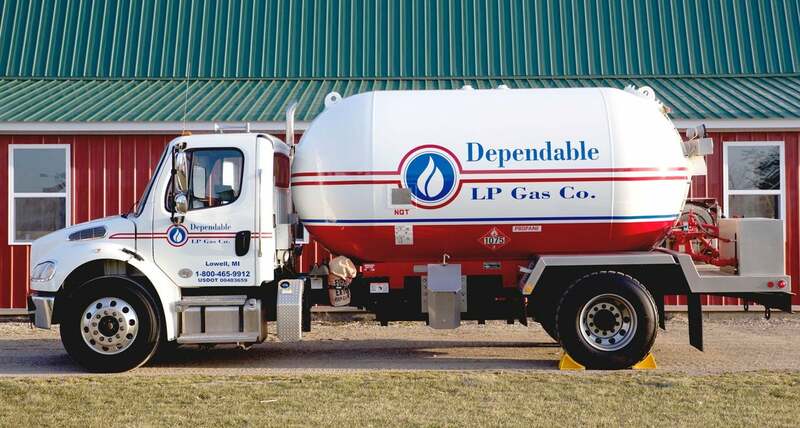 If you should have a leak, report it to Dependable LP Gas right away – we know what to do and will be to your property quickly! Be sure to comply with our regular maintenance check-ups, which will ensure you do not have leaky tanks or any other problems. If you smell gas, shut off the gas source immediately!